"In this outcome we will be focused on Luka - he has worked hard with the coaches to be in good shape for this race and together with the support of the team and a good plan, he can go for the best result possible." 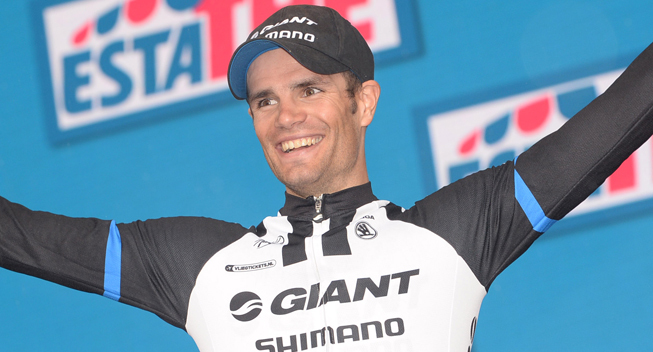 Team Giant-Shimano will line up in their next WorldTour race, the GP Plouay, with a focus on a sprint finish. Luka Mezgec and Reinardt Janse van Rensburg will enjoy the status of being protected riders. Team Giant-Shimano heads to the one-day WorldTour race, GP Ouest France - Plouay with a strong balanced team with a sprint focus. The nature of the Plouay circuit always provokes the attacking riders to try their luck but more often than not the front of the race comes back together on the final run-in to the line. Team Giant-Shimano head to the race with a team capable of going on the offensive but also equally suited to getting a strong result if the race comes down to a sprint with Luka Mezgec as well as Reinardt Janse van Rensburg being two fast men for the race. "Plouay is always a hard race but normally everything happens on the last one or two laps," said coach Marc Reef. "There is sure to be a lot of attacks and we will have to be sharp on these, but you often see this race together in the final kilometres.